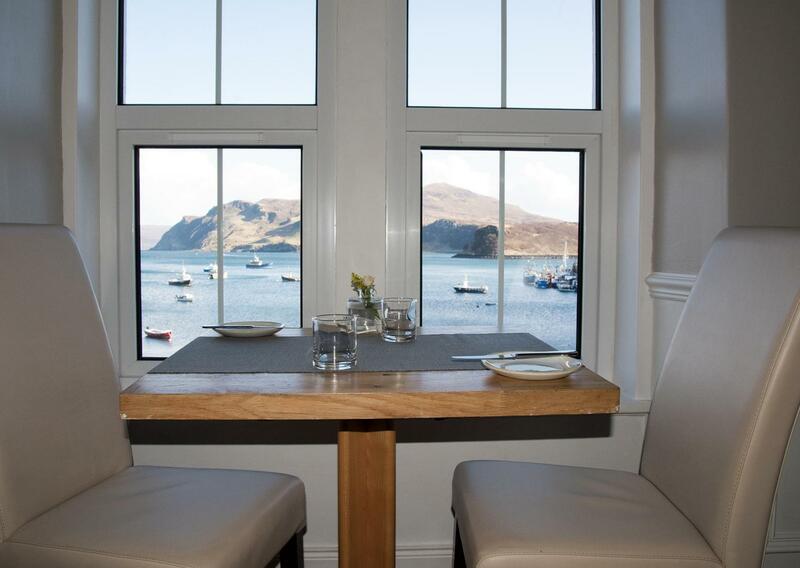 The award winning Rosedale Hotel Restaurant is located on Portree harbour. Talented head chef Daniel Fleming has created a delicious Scottish tapas menu using many locally sourced ingredients. Enjoy fresh fish, shellfish and a variety of other dishes cooked expertly by Daniel and his team. Our friendly front of house staff are waiting to offer you a warm welcome to our intimate dining room. The view from our windows overlooking Portree harbour is breathtaking and our walls are enhanced with stunning paintings by local artist Jeremy Rossiter. This is the perfect setting to enjoy dining in a picturesque location. We stock a variety of local produced beverages including the Misty Isle Gin and Isle of Skye beers . Furthermore ,there is an impressive choice of whiskys to enjoy. 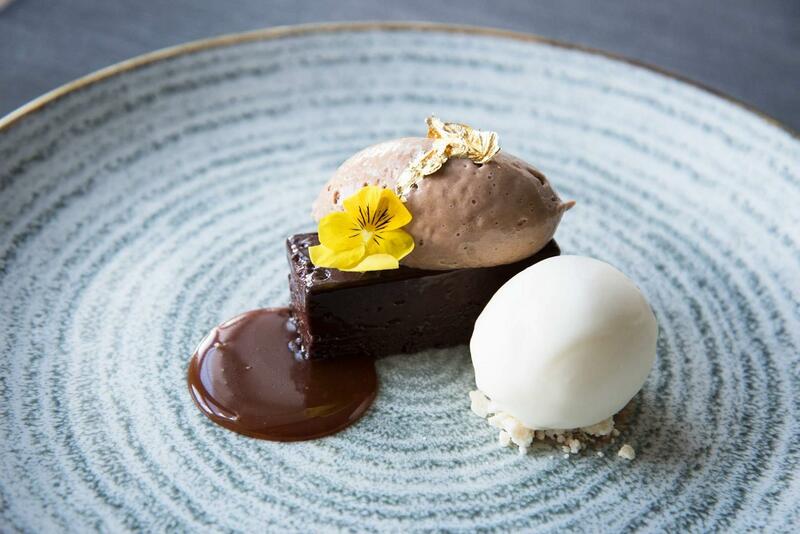 We are proud that the restaurant was the Highlands and Islands winner of the Rising Star Award at the 2017 Scottish Food Awards and Academy. 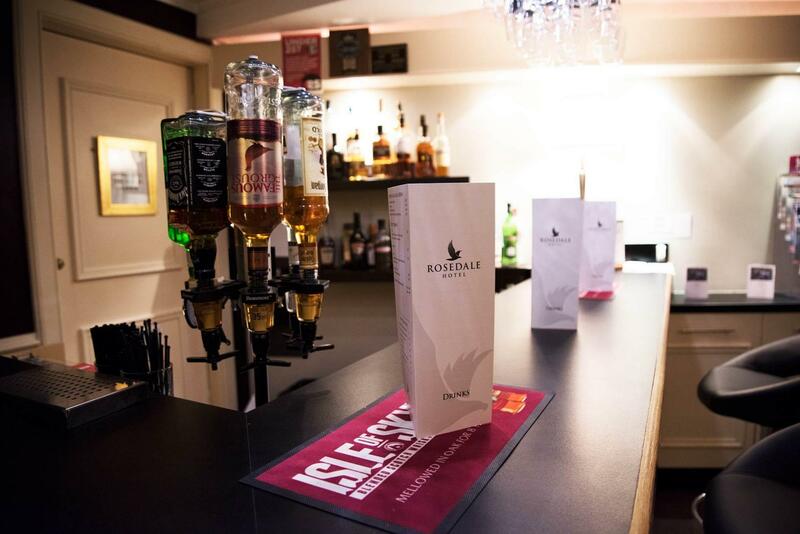 Please phone:01478 613131 , email: reservations@rosedalehotelskye.co.uk or the opentable reservation engine to reserve a table. The restaurant is open from 6pm-9pm Monday to Saturday. The restaurant and bar is closed on Sundays. We strongly recommend reserving a table prior to your arrival at the hotel. We will try our best to accommodate dietary requirements if told in advance.